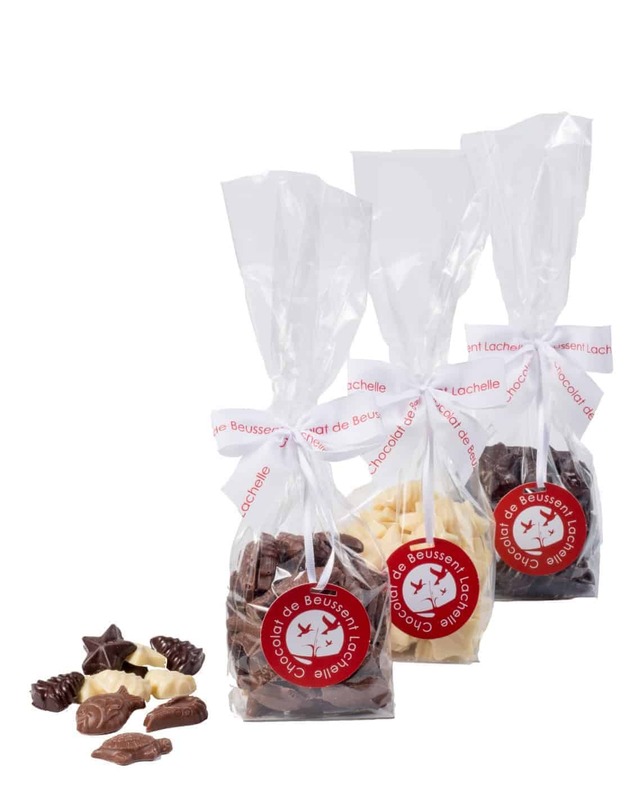 Unwrap the silver paper and enjoy this delicious chocolate blended with homemade caramel. Dark chocolate (min. 72% cocoa): cocoa beans, sugar, cocoa butter, emulsifier: sunflower lecithin, natural vanilla from Madagascar, fleur de sel from Guerande. Filling: fresh CREAM, MILK chocolate, sugar. MILK chocolate (min. 42% cocoa): whole MILK powder, cocoa butter, sugar, cocoa beans, emulsifier: sunflower lecithin, natural vanilla from Madagascar, fleur de sel from Guerande. White chocolate (min. 24% cocoa): sugar, cocoa butter, whole MILK powder, emulsifier: sunflower lecithin, natural vanilla from Madagascar. Filling: fresh CREAM, MILK chocolate, sugar.